Ronald Ollie was an engineering student at the Missouri University of Science and Technology in the early 1970s, he would take dates to the St. Louis Art Museum. “The other engineers would say, ‘Why are you taking that woman to the art museum?”’ he recalled. 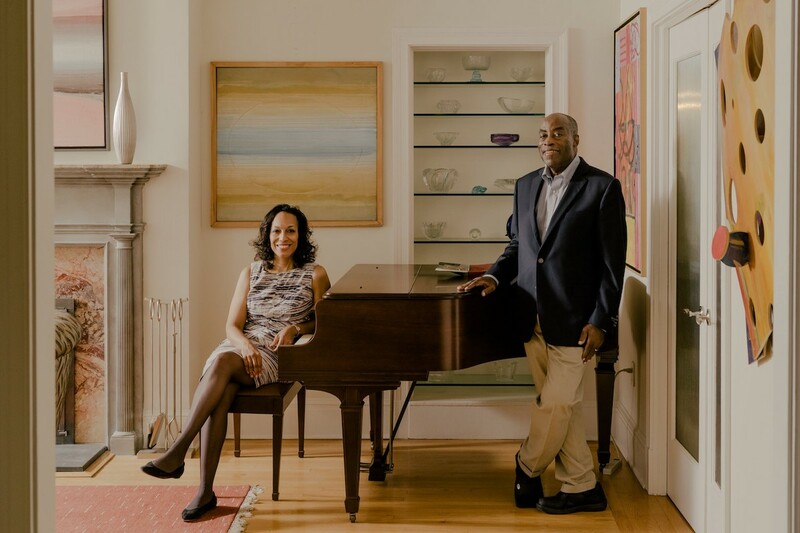 Today, Mr. Ollie, a retired mechanical engineer, and his wife, Monique, who has a doctorate in biomedical engineering, talked about their collection in their Newark apartment, which has a spectacular view of Manhattan and walls covered with abstract work by black artists. The collecting compulsion was a pre-existing condition when Mr. Ollie met his future wife in 2003 at the National Black Fine Art Show. “I have picked out a few pieces, but mine are in the back,” Ms. Ollie, who is a project manager at Johnson & Johnson, said good-naturedly.